JSC Metrowagonmash has awarded a supply contract for 12 metro cars of 81-717.6/714.6 series for Nizhniy Novgorod. By the tender results a contract was concluded with Metrowagonmash that shall transfer the first batch of metro cars (one 4-car set) in September, the second and the third - in October and in November to Nizhniy Novgorod. The previous supply was 19 years ago, in 1993. The design of 81-717.6/714.6 series car has several distinctive aspects as compared to a basic model. Emergency exits are arranged in the front part of head cars. Volume of driver’s cabin is increased, and design of control panel is modified. Equipment layout meets contemporary requirements of ergonomics and design. An air conditioner (it is missing in 81-717/81-714 basic model), a driver’ seat vibration absorbable and pneumatically adjustable are fitted in a driver’s cabin. A car saloon is equipped with ceiling forced ventilation. Fluorescent linear lamps are used for lighting. Formed panels made of fire-resistant plastic were used for wall finishing. Anti-vandal seats with glass plastic frames are installed in saloons. Floors are covered with wear-resistant linoleum. Moreover, an improved set of dc electric equipment is used in cars, as well as bogies of new design with plate frame ensuring enhanced reliability and durability of the elements. 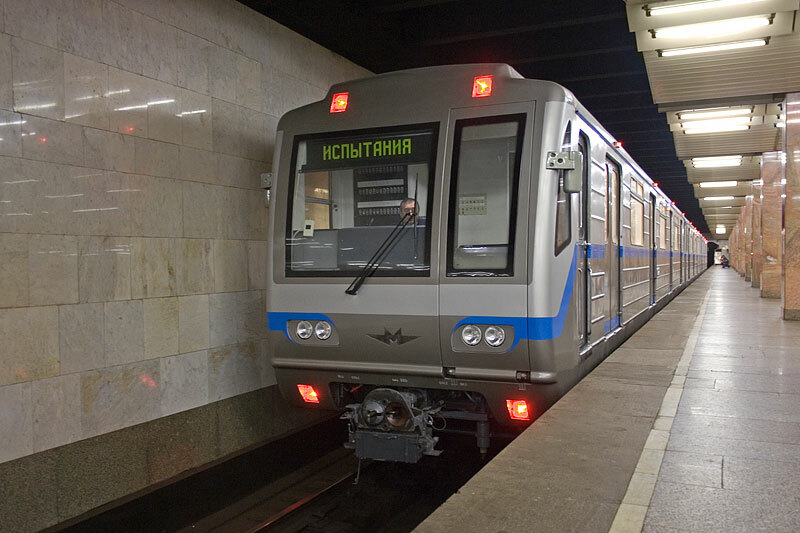 JSC Metrowagonmash has been cooperating with Nizhniy Novgorod metro since its opening in 1985.